President Uhuru Kenyatta has announced that all Government officials and their families will undergo a lifestyle audit as he takes the war against corruption a notch higher. While reaffirming his commitment to fighting graft, Uhuru said he and his deputy William Ruto would also undergo the same audit. ALSO READ: What we, the youth can do to put a stop to culture of corruption “All the governors and Cabinet secretaries will be audited after the two of us before all other Government officials are subjected to the same exercise,” Uhuru said during a visit to Mombasa Thursday. The President was at the coast to officially open the first phase of the Dongo Kundu Bypass, an 11km road connecting Miritini, Mwache and Kipevu. He said he would not hesitate to send Cabinet secretaries or governors found guilty of graft to jail, declaring the war against the theft of public resources was unstoppable. “We are aware some of these corrupt individuals have registered their wealth, including cars and houses, in the names of their spouses and children. We will go for them also,” said Uhuru. and receive factual, verified breaking news as it happens. Text the word ‘NEWS’ to 22840 The President said the source of wealth for the families of all senior Government would be investigated, adding he would not be cowed by politicians out to politicise the war on graft. He said all those found culpable would be jailed regardless of their status. “I have noticed how some people have politicised the war on graft. I will tell you this; it does matter who you are or where you come from. If found guilty, you will be jailed,” he said. The President, who has just returned from the G7 Summit in Canada, noted that some county governments were procuring simple items and services at exorbitant prices, and declared their days were numbered. Let them plan for 2022 hoping God does not have different ideas Uhuru said construction of phase two of the Sh39 billion Dongo Kundu Bypass would begin in August. Construction of the Mombasa-Mariakani dual carriageway would also be fast tracked. The President termed the Dongo Kundu Bypass a springboard for realisation of the Sh27.3 billion Dongo Kundu industrial and commercial hub in Mombasa. The Special Economic Zone is scheduled to be complete by 2019. In 2016, Kenya secured Sh27.3 billion from Japan to build the hub, which is expected to alter the coastal town in terms of infrastructure and business. The new road starts from Mombasa’s second container terminal in Kipevu and joins the Mombasa-Nairobi highway at Bonje, off Mazeras in Kilifi County. 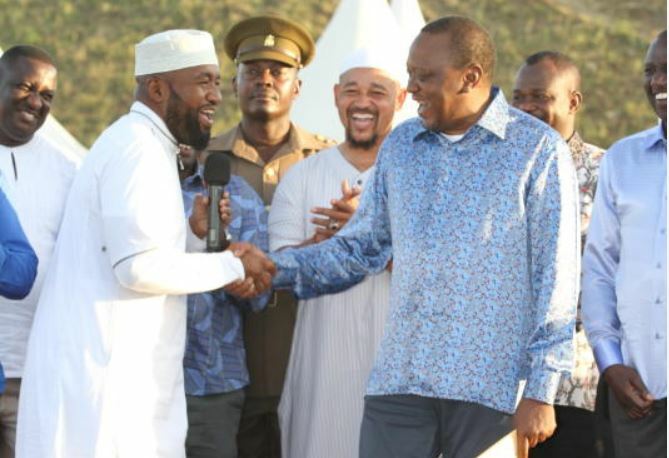 Mombasa Governor Hassan Joho said he would support Government projects in the region and undertook to end public hostility against Uhuru’s administration. Uhuru: All government officials, families to undergo lifestyle audit Reviewed by samrack on June 15, 2018 .